Lauren Celentano had so many animals in her care, and wanted so many more, that she knew she it was time to turn her passion for pets into a career. With her “Mobile Menagerie,” Lauren travels with her animals to public events, classroom visits, and private functions, sharing both her knowledge and her love of animals with the Rochester and surrounding area communities. A long time animal lover, Lauren says many of her animals are rescue pets that needed a good home. She regularly works with Rochester Animal Services, and has provided a foster home to many local dogs in need in the past year and a half. Part of her mission with Mobile Menagerie is to educate current and future pet owners as to how they can help. She especially loves to share her work with children, who are both fascinated and curious about the animals she cares for and how to help out. What animals are you bringing to the Festival this year? It always depends on the individual animal that day, just in case they are having a bad day. Sometimes the corn snake is shedding, sometimes the bunny is grumpy and sometimes it is just too hot, it all depends. But I am hoping to bring one of my bunnies, two chickens, a chinchilla (new to the menagerie), a chameleon, two kinds of frogs, a box turtle, one of my Savannah monitors (a type of lizard), and the corn snake. 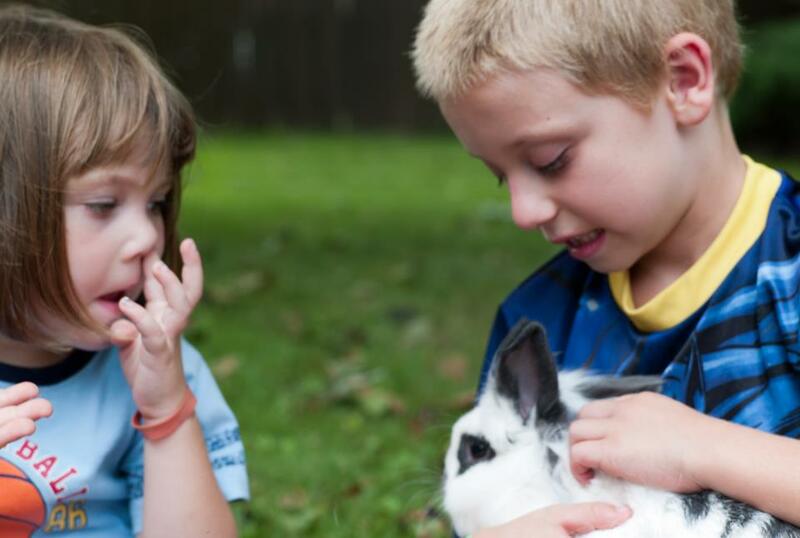 Is there anything kids should know when they approach an animal? Always ask the owner and your guardian if it is safe, and never startle an animal. Make sure you are talking softly, never shouting, and never make sudden movements. I promise you are way scarier to the animal then they are to you. This goes for dogs, chickens, snakes, anything! Just because we condition animals for events, doesn’t mean they will act the same 100% of the time. What is the number one question you get about your animals? “Do you really own all of these animals?” Yes – I am crazy enough in love with all my animals to “own” them all. They come before me. I make sure they are fed and housed properly before I sit down to rest after my day jobs. My animals are so important to me, and I love answering questions about how you can own one yourself- but know they are all a lot of work individually and together. I absolutely love horses. I can be having the worst day and would go visit the barn and would just feel right. You cannot have problems on a horse- you have to concentrate. I do not have a horse of my own, yet, but I definitely plan on rescuing a few in the future. What animals do you still hope to get? One day I hope to own a toucan. I would also like to get a few other barn animals once I move to a large enough property. Right now I have a homestead where I can grow most of my own food and the animal feed (I love being as local and green as possible), but I can definitely seen room to expand my business and the animals I care for.